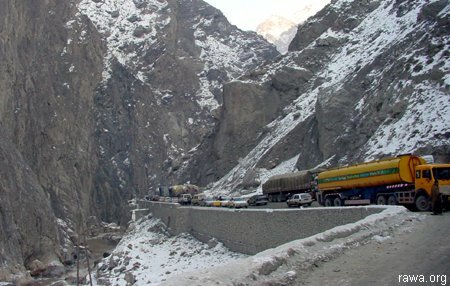 During snowfall the highway remains closed and vehicles full of passengers wait for hours in the bitter winter. A number of children were reported to be killed due to cold weather. While in normal it takes around 7 hours to arrive Jalalabad from Kabul, it took 16 hours for our car to arrive Jalalabad and had to spend the night in a hotel.